Featuring the Best Parasailing Deals in Key West! 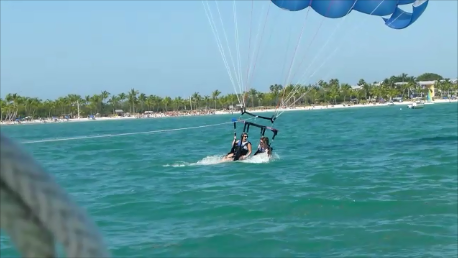 best deal to be found for parasailing in Key West. You can parasail for only $35 in the morning before 9:00 or all other times are only $42 if you book online with them. Sunset will occasionally offer some fantastic deals besides their early morning flight, such as their spring break tandem rider special. The spring break special is good for two riders for only $60. Be sure to check for their online special offers. Sunset offers three parasailing options, a single rider, double and even a triple rider parasail flight. With your parasailing adventure you will be given the option to have a wild ride which includes being splashed in the ocean, or just a gentle scenic flight. They have a great parasailing safety record and have been around forever. All their boats are coast guard inspected & certified. They are the oldest parasailing company in Key West. Make a parasail adventure the highlight of your next Florida Vacation. Sunset also gives a non parasailing option if you have someone that would like to ride along in the boat, which is $20. Sunset Sports HAS Two Great Locations to Choose From! Sunset offers two parasail locations. 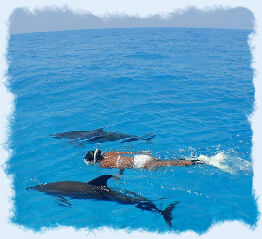 One is located at the Old Historic Seaport also called the Key West Bight. Their second location is at the islands largest beach, Smathers Beach. You should arrive at least a half hour before your scheduled flight time. You will have the option to take home a CD with digital photos and videos to preserve your memories. Key West parasailing morning special.